Online Gambling in the United States: A Hit or a Miss? Are Americans allowed to gamble online? Yes. However, this has been a burning issue with most Americans since the promulgation of the UIGEA (Unlawful Internet Gambling Enforcement Act). What is the UIGEA? It was enacted by the U.S Congress in 2006. The UIGEA prohibits financial institutions, such as banks or credit card companies to process online betting transactions. This includes electronic fund transfers (EFTs), wire transfers (Western Union) and credit cards. As a result many credible financial institutions left the US market. Thousands of Americans wager online. Although it is not fully regulated in the United States, states like Delaware, Nevada and New Jersey have taken the plunge and regulated it albeit on a small scale. Hopefully other states will follow soon. Online gambling is a multi-billion dollar industry and the U.S government knows it. Currently all the revenue gained from the U.S-based player is filling the coffers of offshore gaming sites and the jurisdictions they're licensed in. That's why the Federal Government said that it's up to individual states to legalize it. Online gambling legalization faces stern opposition from certain religious groups, and land-based casino tycoon Sheldon Adelson made no bones about it that he's not in favor of online gambling. Understandably so, because he sees it as a threat to his land-based casino empire. In 2010, the Department of Justice stated that online gambling is not against the law only online sports betting. This statement set the wheels in motion and full regulation in the US is not seen as a pipeline dream anymore but a reality. Can US Gamblers Deposit and Withdraw Cash Online? To be honest there are very few deposit and withdrawal methods available to U.S players. The UIGEA prohibits banks and payment processors to wire cash to offshore gambling sites. U.S players can fund their accounts by using Visa credit/debit or prepaid cards. Just make sure that the prepaid Visa you purchase is approved for International use. Very few sites still accept American Express as a deposit and withdrawal option. Western Union is another safe and hassle-free option to transfer cash. Bank wire or cheque by courier are also popular withdrawal methods. When will Online Gambling be Legalized? There's no definitive answer as yet but the way things are moving, many industry experts believe that by 2016 Americans will be able to play their favorite casino games and poker online. Take into account the amount of land-based casinos, sports betting venues, race tracks, bingo halls and state-owned lotteries, it's unfair towards Internet betting since all these institutions already have their place in the sun. On February 21, 2013, Governor Brian Sandoval signed Assembly 114 legalizing online gaming in Nevada. Although the state has long been a leader in gaming regulation, this was a significant step highlighting Nevada's entry into the arena. Until recently, a handful of jurisdictions outside of the United States licensed online gaming operators provided internet casino games to customers throughout the world, including customers in the United States. As a result, the initial development of internet gaming has been shaped by both the brick and mortar casino industry in the United States and by operators and regulators in many countries. Casino City, a Louisiana company that operates the Casino City Network, filed a complaint in a federal court against the Department of Justice. The complaint alleged that it advertised lawful overseas companies that offer online casino and sports betting. It was threatened with prosecution based on threats and subpoenas from the Just Department. 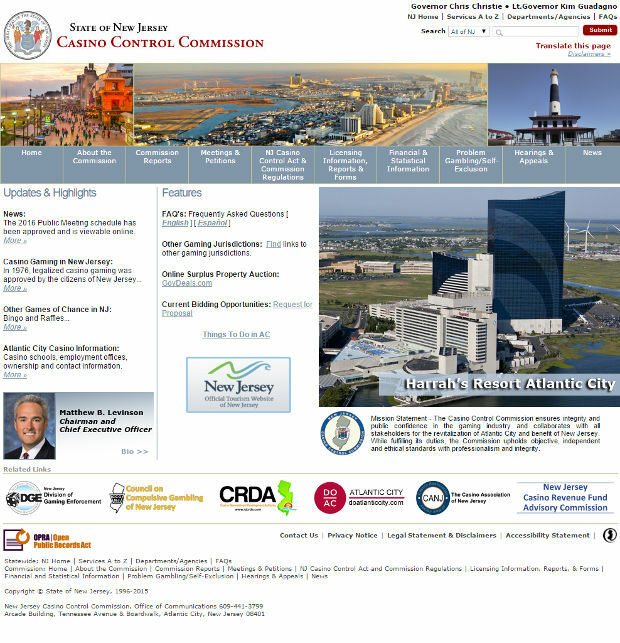 Casino City sought a judicial declaration that the aiding and abetting statutes cannot be constitutionally applied to criminalize online gambling advertising. The court made no effort to distinguish between the types of gambling advertised but instead concluded that all forms of gambling over the Internet is simply illegal. Shortly after the Casino City case ended, the DoJ pressurized several advertising outlets such as google, Microsoft and yahoo to stop accepting online gambling advertising. Subtly, The DoJ expanded the war on internet gambling and forced the media powerhouses to pay over $31.5 million in fines since they promoted illegal gambling ads over the Internet. Although legal online gaming is new to the United States, it has a longer history abroad. Several states, most notably New Jersey and Nevada, have decades of regulatory experience with land-based games and have developed sophisticated regulatory regimes. Are the licensed operators in Delaware, Nevada and New Jersey safe? Yes they are. The ICS (Industrial Control Systems) developed certain protocols like regular audits and record keeping requirements to detect any irregularities in the conduct of the games. For example, if surveillance controls detect uncommon or unusual moves in the play of the game, which in turn, may indicate that the integrity of the has been compromised. 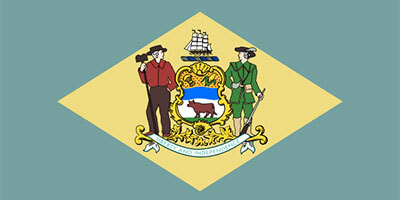 States such as Delaware, Nevada and New jersey are actively involved in the accounting process. Development of minimum internal control standards (MICS). Imposition of financial and operational record keeping requirements. Of the fifty states and District of Columbia, only Hawaii and Utah outlaw all forms of gambling. The U.S gambling industry as a whole generated more than $92 billion in revenue in 2007. This was accomplished through commercial casinos, Indian casinos, state lotteries and racetrack casinos. According to the American Gaming Association, commercial casinos operate in twenty-two states, generating a total gross casino gaming revenue of about $35 billion in 2010. Whether or not regulated online gambling becomes widespread in the United States may ultimately be dependent on state action and not federal action. In California, lawmakers are considering legalizing online gambling for its significant revenue potential, estimated supporters at $100 million to $250 million per year. The recently introduced ''Internet Gambling Consumer Protection and Public-Private Partnership Act of 2012'' proposes the legalization of intrastate gambling in California. Operators will be required to make a $30 million up-front ''use-it-or-lose-it deposit against which subsequent monthly gross gaming revenue taxed would be drawn. At the heart of policy goals and regulated iGaming is consumer protection. Furthermore, the regulation of online gambling may reduce the prevalence of unlicensed or extraterritoriality licensed operators. U.S states considering the legalization and regulation of cyber gaming must structure their licensing and taxation models to achieve the best possible goals. Due to the nature of internet gaming it's relatively easy to use it as a platform to launder money. This is why the U.S Supreme Court addressed the issue of whether ''proceeds'' within the meaning of section 1956 refers to revenues or profits. Instead of agreeing on a single definition of ''proceeds'' for all specified unlawful activities, the Court ratified both approaches, depending on the nature of the underlying offense. In the United States, one central definition of money laundering is found in title 18, section 1956 of the U.S code. It criminalizes virtually any dealings with proceeds from a range of specified unlawful activities when those dealings are aimed at furthering unlawful activities, concealing or disguising the source, ownership, location of the nature of the proceeds. Currently in the U.S and some European countries, e-gaming offered by private operators is illegal per se. The use of funds generated by operators arguably becomes money laundering, because under the 'all crimes' laundering model mandated by the FATF (Financial Action Task Force), e-gaming is a predicate act and concealment and assisting in the disposal of funds. As such e-gaming in the U.S and in some European countries presents a serious problem of money laundering, because many people like to bet online and offline. The state of Nevada, regulates intrastate online poker only. A Nevada gaming operator complying with local law should not deal with funds gained from an illegal bet or wager. No predicate gambling law violation exists because the interactive gaming that Nevada regulates is legal, provided it is done by states-licensed operators. Terrorist financing and money laundering issues can be distinct. Money laundering is generally more useful to criminal enterprises when larger amounts of cash or property are involved. Different considerations can apply in terrorist financing, where even ''small amounts'' of laundering may be critical to terrorists. For example, the financial connections among September 11 hijackers showed that most individual transactions were small sums which was far below the reporting threshold and were mainly wire transfers. The individuals appeared to be foreign students receiving money from their parents or grants for their studies. Many mechanisms are used to fund terrorist activities but luckily Internet gaming is not one of them. Money laundering in credible jurisdictions does not pose a problem. The best way to address terrorist financing in internet gaming is to mandate rigorous know your client (KYC) standards. This could be accomplished by restricting processing to a few key banks regulated in a small number of first world states. Given the low reporting and enhanced customer due diligence thresholds in some cyber gambling jurisdictions, some sectors might be more at risk than others. In the context of risk-based methodology, the risk in internet gaming appears to be low. However, until stricter requirements are introduced some conceptual risk remains. A brief overview of the various online gambling laws of each US state. If you want to peruse the gambling laws in your state, simply click on your states' flag.